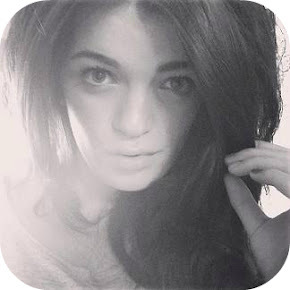 Hi Girlies! Sorry I haven't blogged anything beauty related recently, I'm still recovering from an epic weekend in Milton Keynes watching Swedish House Mafia (read my blog post on it here) but I'm back to the real world and so are my beauty blogging ways. 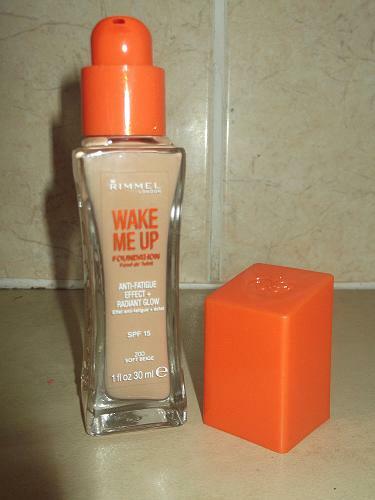 After hearing so many rave reviews about Rimmels Wake Me Up foundation I decided to purchase some of my own to try out. After oomphing and aahing for ten minutes or so in my local drugstore I finally settled on 200 Soft Beige as my choice of colour. In the bottle it looks like a fairly tanned pigmented foundation, however when I applied it and set it with powder I felt it was a bit of a pink tone. 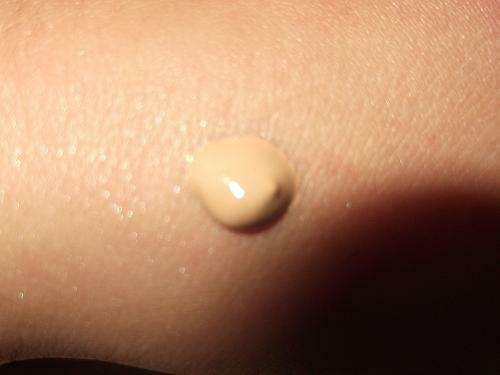 As I'm always completely honest when it comes to reviewing products I have to say I'm not a lover of this foundation. It's not awful but it doesn't obviously look as great as my trusty MACs and Revlons. For an £8.99 3ml bottle I wasn't expecting a miracle foundation as I find that the more you spend on a foundation the better it is. But after everyone claiming it was great I was quite disappointed. "Our first foundation that visibly reawakens ad illuminates skin with a radiant glow and a flawless finish Instant anti-fatigue effect. With peptides and a Vitamin Moisturising Complex"
I will agree with the fact that it claims to reawaken the skin and make you look more awake. 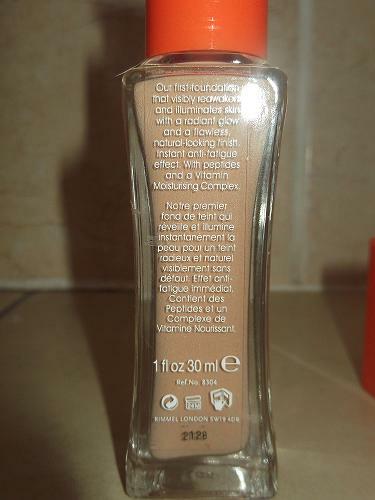 Although you can't see it from the outside of the bottle, when it is applied there are small highlighting pigments. This is great, but for combination skin it is a complete nightmare. After just 2 hours I was shiny across my T-Zone and slightly patchy across the sides of my cheeks. I used a primer and my trusty MAC foundation brush to apply this foundation, so the application is not at fault here. I know that the main objective of this is to illuminate skin, but to the extent of having to re-powder my nose every so often it isn't great. I like the fact that it contains SPF 15 as I'm really concious of getting wrinkles before I'm 30. Although I found this great, parts of it did start getting stuck inbetween the lines under my eyes even after I had used a concealer. One thing I have to mention is just how amazing this smells. I think it really is just Rimmel as a brand as their lipsticks smell delicious too. Sort of fruity and floral which makes a nice change from MAC's studio fix which smells like chemicals. 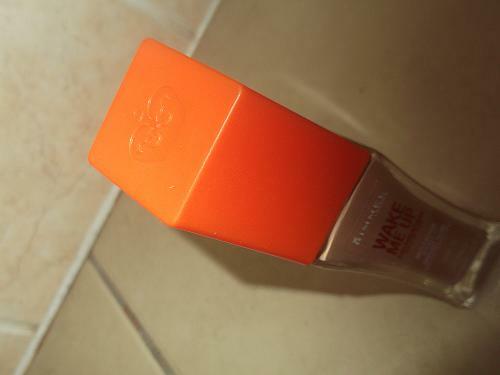 The bottle itself didn't exactly scream 'glamour' but I must admit I do like the orange lid as it really brightens up my make-up bag nicely. Plus these sleek black bottles get so dirty which makes me knock a little sick when I put my make-up on in the morning. Germs germs germs. 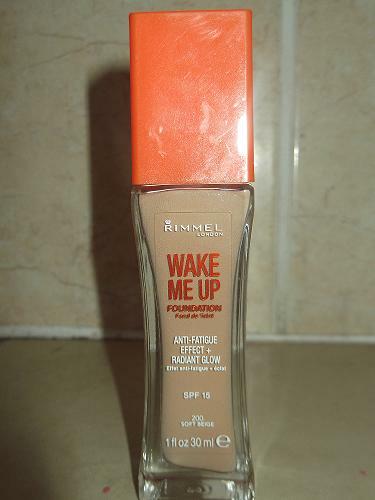 Have you tried Rimmels Wake Me Up foundation? What did you think?